"You don't need a Tiara to be a Princess, you were born a Queen." 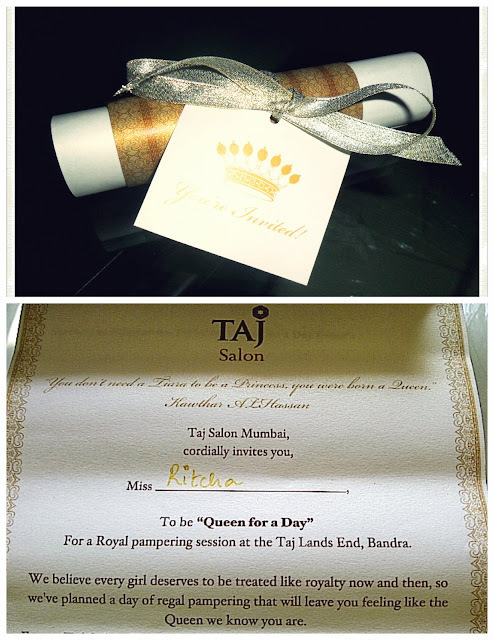 When an invite from the Taj Salon which started with these words was delivered to my doorstep, that too to be pampered like a Queen for a Day, I knew that there was no looking back and I had to say YES. 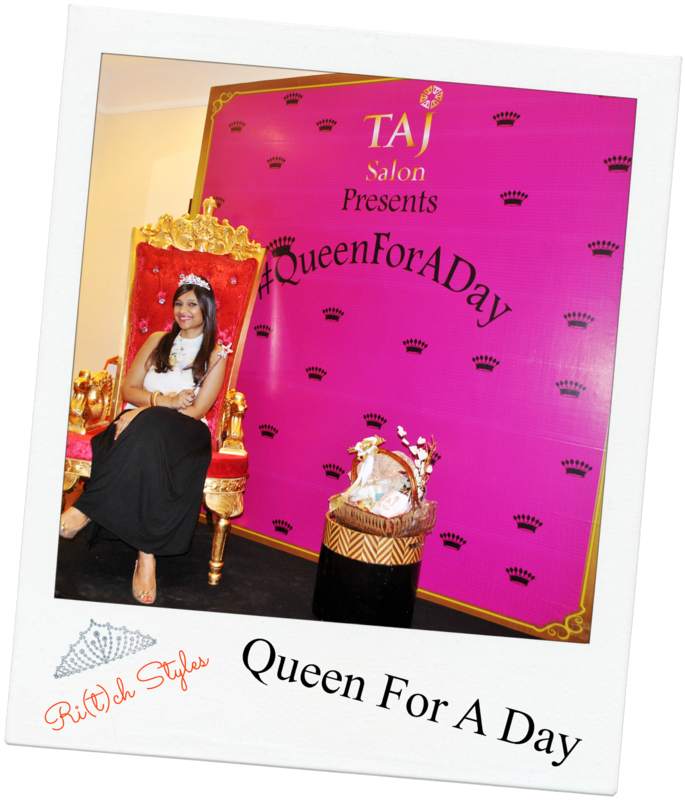 Royalty and Taj go hand in hand - everyone knows that since forever! 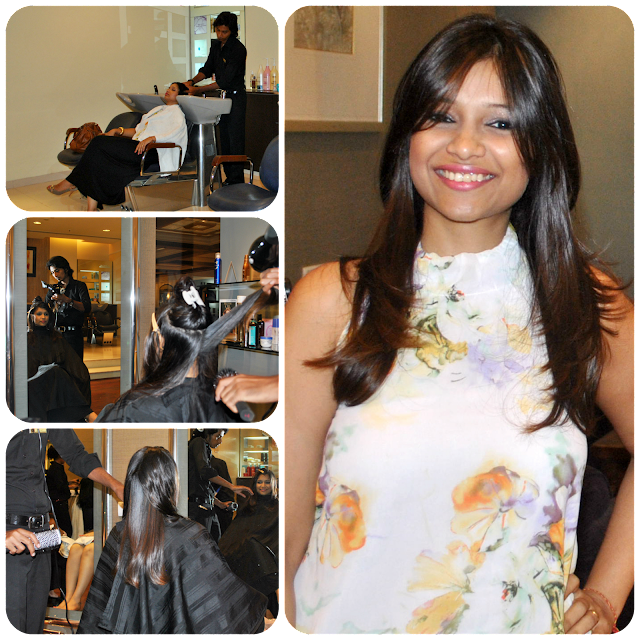 And when you have also had a crazy Saturday, such events on a Sunday make the pampering much called for. The Taj salon 1st opened its doors in 1940 as one of the only 2 salons in the country and was run by Madame Jacques (a French national) for 42 years. 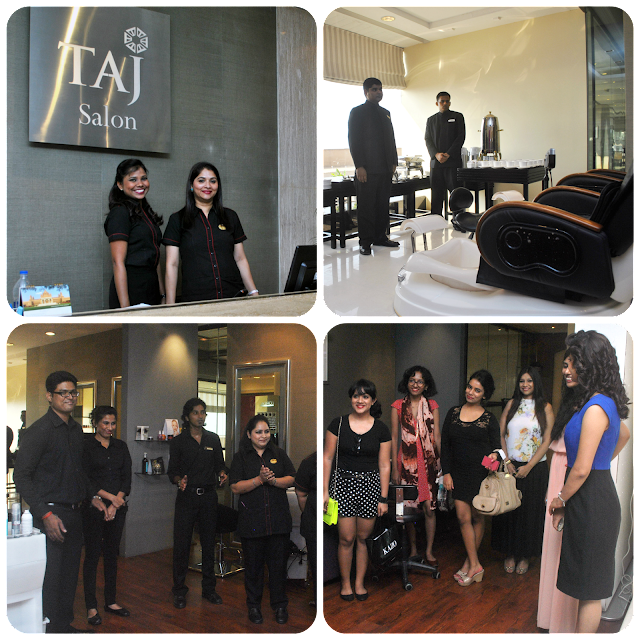 In 1981, the Taj Group took over and renovated and re-launched under the brand ‘Taj Salon’. Some of their earliest employees who joined them back in the 1970s and used to work with Madame Jacques continue to work with them till today. Impressive! This was the first set of services I went for and I can't tell you how satisfied I was. 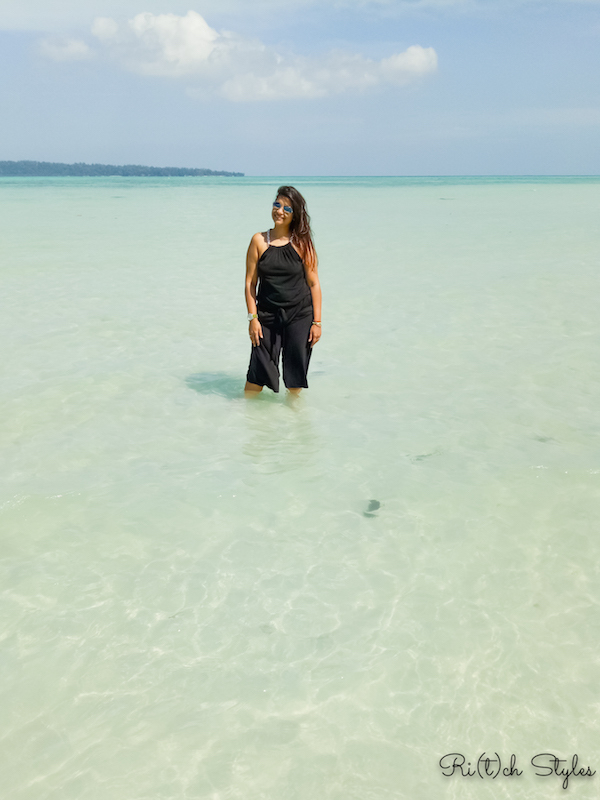 The sea view from the mani-pedi station was so calming that I sat for there for nearly two hours with no hurry or worry about getting anything else done. Pure Luxury! If I had my way, I would have probably gotten all my services done sitting right there ;) (that actually became the joke of the afternoon). The therapist was incredibly good. The techniques he used, I haven't ever seen till date in any other salon and believe me or not, the polish lasted for 2 full weeks without chipping or touch up. So a totally recommended service from me. A regular manicure costs INR 900 while a pedicure costs INR 1000 which is the name of luxury is a total steal! The hair stylist checked the texture of my hair and recommended the Moroccan Oil Hair Spa to deepen the colour in my hair and increase moisture and it sounded really luxurious so I was all for it. Mid way through the hair spa I also realised I was due for a hair cut and so that too got added to the list. The hair spa left my hair super silky and shiny and the hair cut added a bounce with some bangs. The result was a complete change in looks :) The Moroccan Oil Hair Spa costs INR 3,500 but is worth it coz the moisture locks into your hair for a good amount of time. Haircuts cost about INR 750 for men and INR 1,500 for women. Again I must say a steal deal! The evening continued to get better with some mocktails, hors d'ouvres and chit chat before we finally bade each other good bye but not before they surprised me with this cute gift basket of goodies. 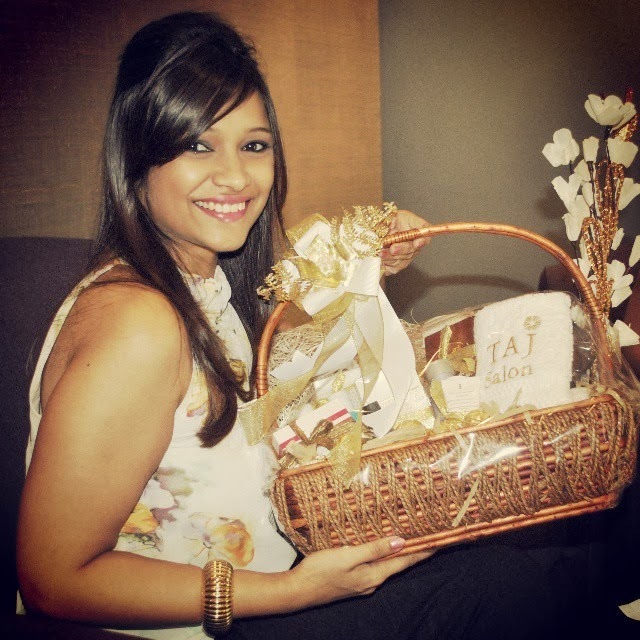 I must say the Taj Salon embodies everything its name stands for – beauty, luxury, class and above all – service! It was such a blast & that haircut of yours is adorbs! You look so cute !! I must say the experience sounds incredible. I loved u in that retro look..u look fab. Wow.What A Nice Pic.I think All of your's Pics Are Awesome.